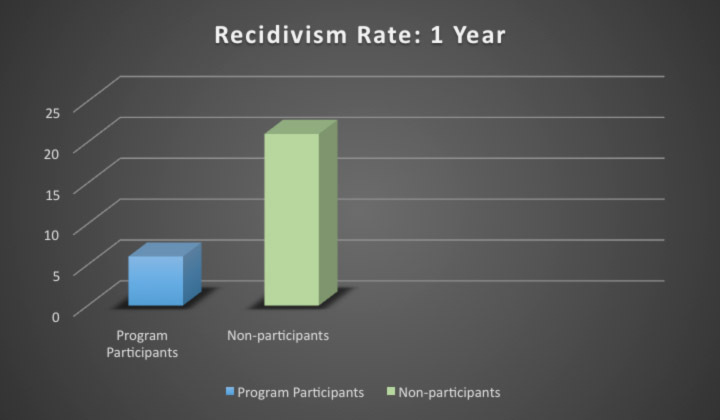 The Orange County District Attorney’s Office’s Research Unit conducted a recidivism study to determine how PES’ program impacts the County’s recidivism rate for misdemeanor defendants. Findings indicated that among defendants who accepted the DEJ program, 96% successfully completed the program. Further, one year following program completion only 6% of participants recidivated. Comparatively, among those defendants who did not accept the DEJ Program, 25% recidivated.